Red Jasper has a calm steady vibration that can calm and soothe you in times of stressful situations and helps in facing unpleasant situations and having the courage to correct wrongs. Red Jasper also provides the emotional body in creating a lasting, stable energy for setting goals and following through to completion. Red Jasper is a stone of passion, useful for igniting and rejuvenating the libido, and in manifesting creative ideas and is also an ideal worry or rubbing stone for soothing the nerves and restoring balance. This bottle of nail polish is the most beautiful shade of red I have ever seen. Very glad I bought this. I think this my 16th polish purchase!!Ummm... yup! 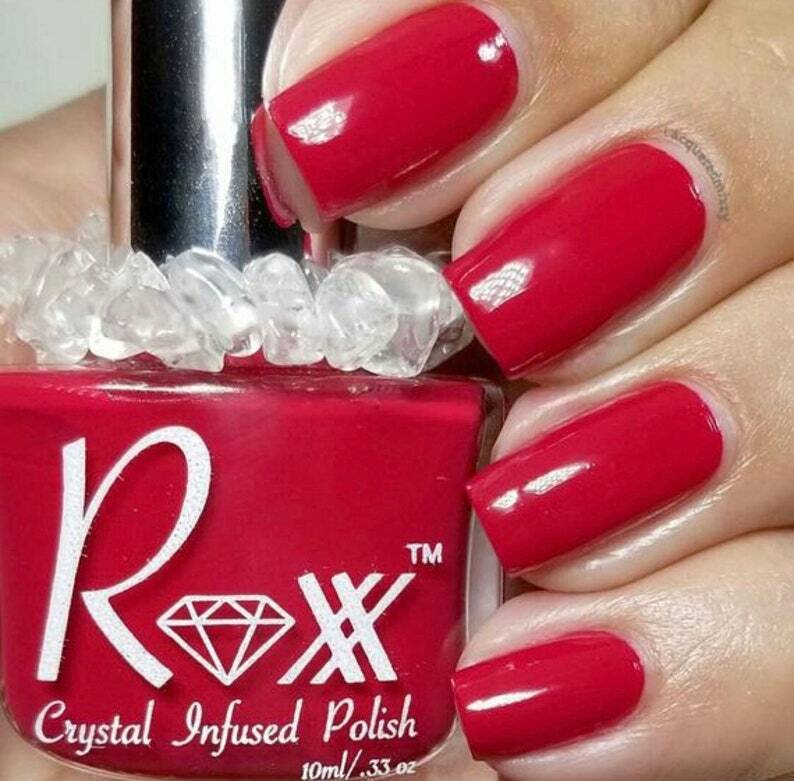 This polish Roxx! The owner of this shop really knows how to treat customers. She always includes a free tea and hand written note with every purchase. The nail polish goes on really smooth.